Published continuously since 1897 and with an audited circulation of more than 37,000 copies a month, The Railway Magazine has gained a reputation for quality and accuracy in a fast-moving industry. 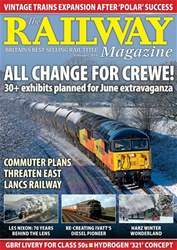 Its photos and features set the standard and its award-winning news section is the most comprehensive in the country, covering traction, network, steam, heritage, metro, narrow gauge, overseas and a host of other topics. 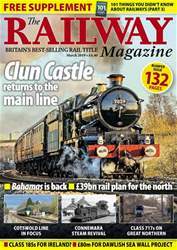 Looking for Railway Magazine in print? Unfortunately pocketmags.com does not sell print copies of Railway Magazine, but all is not lost. Our partner at magazine.co.uk sells print subscriptions at the best prices online. Welcome to The Railway Magazine! In the first of a two-part survey on steam-era coaling towers, Nick Pigott looks back at the landmark structures that once stood at more than100 loco depots. Gary Boyd-Hope explains how the West Somerset Railway's new management team plans to tackle the line's current problems and work towards a brighter future. From anonymous commuter train to star of the National Collection, locomotion's newly restored '2-HAP' car tells an important part of the railway story, writes Nicola Fox. You'll receive 12 issues during a 1 year Railway Magazine magazine subscription. 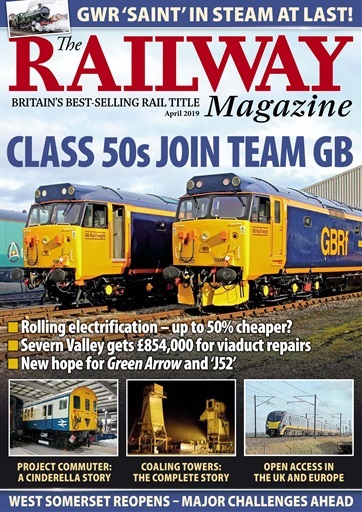 VGood Railway Mag for all national, international, Metro, Heritage, History and Network Rail covered. 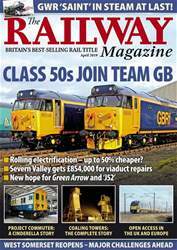 A good railway mag especially if you are mainly into the steam and diesel era. If you are more into modern traction then I would go for one of the other railway mags but this is great for pictures and articles on all modes of rail. You'll receive 12 issues during a 1 year Railway Magazine magazine print subscription.